Today, George R.R. 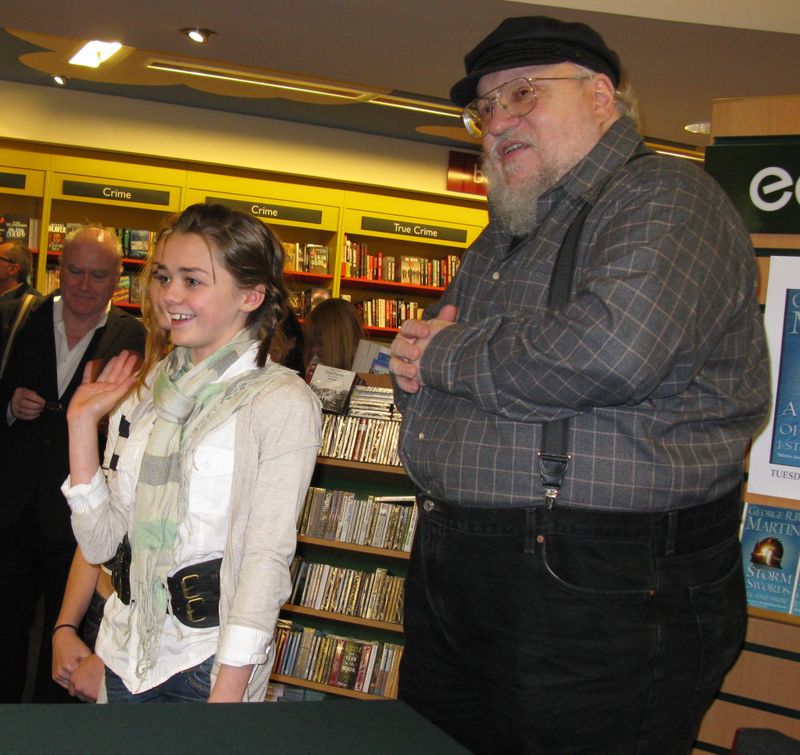 Martin held a signing at Eason’s bookstore in Belfast, and a large crowd of fans attended. Also attending were a number of the actors: Kit Harington (Jon Snow), Richard Madden (Robb Stark), Alfie Allen (Theon Greyjoy), Ron Donachie (Ser Rodrik Cassel), Sophie Turner (Sansa Stark), and Maisie Willaims. We have a number of reports from fans over at the forum, one of the more detailed of which is from Adam Whithead and can be found here. 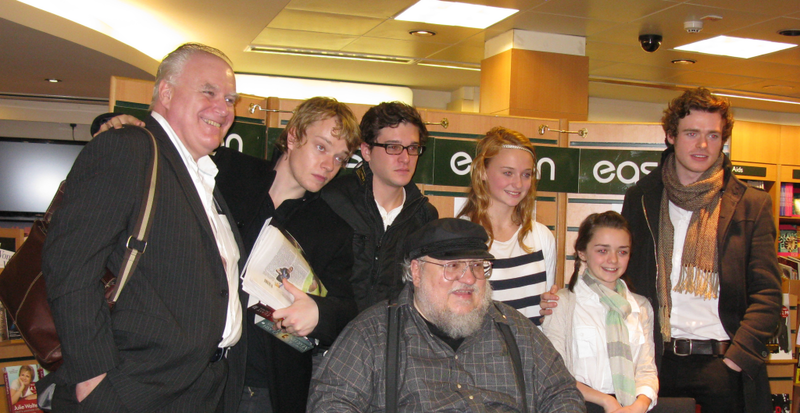 A brief summary of details: several of the actors have been reading the series, and Donachie has finished all four and claims he’s hectoring George about the next. Kit Harington was exhausted from several very long days of shooting, and Richard Madden was very personable and took with good humor his recent acclaimation as Scotland’s most stylish man of the year. Finally, via the incomparable Parris, we have several brilliant photos of George and various actor.